We’re launching a new blog that we’ve decided to name “Beyond the One Line,” to both acknowledge the past state of our industry and to look ahead to the utility of the future. We hope you find these posts stimulating and thought provoking, and we look forward to your participation. We’ve set up a form at the bottom of this post for you to submit questions on these subjects. We’ll answer some of those questions in future blog posts. I recently returned from NERC’s Eighth Annual Human Performance Conference in late March. This event - a collaborative effort between the North American Electric Reliability Corporation (NERC), the Department of Energy (DOE), and the North American Transmission Forum (NATF) – focuses on organizational and industry practices on improving human performance in managing the power grid. The conference was dedicated to the notion that many professionals are working on the same problem from very different perspectives – how human factors and psychology impact grid operations. Together, by communicating and collaborating, we create a shared knowledge base that can lead to the improvement of situational awareness and the effectiveness of power grid management tools, and establishes a more resilient and reliable grid system for everyone. It was an exciting event for ResilientGrid, as NERC announced that it selected our ResilientGrid OS™ software platform for implementation of Version 3 of the software tool for NERC’s Situational Awareness for FERC, NERC and the Regional Entities (SAFNR v3) initiative. The SAFNR program will cover the entire North American bulk electric system. We are pleased to have been selected to work with NERC on this and look forward to contributing to this important initiative. 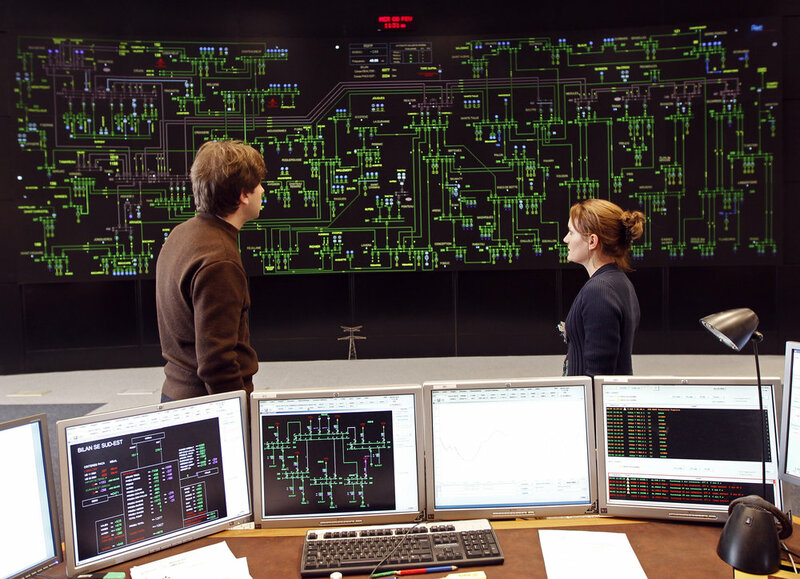 Here at ResilientGrid, we think constantly about what it means to provide control room operators - and electric utilities as a whole - with the technologies that have the best chance of enabling success, of reducing the risk of failure or incident, and of keeping the power flowing. A major part of that is increasing situational awareness, and enabling existing technologies to improve, rather than stand in the way of control room operators achieving success. One of the biggest hurdles is the simple fact that the speed and complexity of our technology has changed, and the way we present information to operators has not kept pace accordingly. Just a few years ago, the pace of managing power grid systems used to be a good deal slower and easier to comprehend. The control room operator could come in, grab a coffee, stand in the back of the room and take in the situation presented on the map board one line with its green and red lights, representing open and closed breakers across the system. Anomalies and conditions requiring a response were fairly straightforward to observe and address. Operators routinely used laser pointers to highlight issues on the power grid map so that they could quickly and efficiently share information with colleagues and everybody shared a similar level of situational awareness. However, in recent years, those map boards have been torn down and replaced with impressive high-definition LED video walls. The problem with this technological upgrade, however, is that the adoption was generally not accompanied by a wholesale re-think of what information should be offered, how it should be presented, and why. Legacy thinking remained (somewhat like the concept of a train track being 8’4” wide because that was the original width of two horses side-by-side on the Roman Empire’s Appian Way), thus impairing the operator’s ability to get the job done. When the video wall vanquished the map board, its inherent flexibility began to create new and unexpected problems. Within a short timeframe, users began to add all kinds of new information: more symbols, text, alarms and flashing lights, information in illegibly small text, and even the streaming Weather Channel. The chaff began to overwhelm the wheat. As a consequence, the control room operators had more difficulty discerning the critical information they needed to make rapid and informed decisions. Millions of dollars were sunk into 4K LED monitors and projector screens. However, since these screens absorb laser light, laser pointers became useless and operators lost the ability to highlight issues and quickly and effectively communicate them to colleagues. We have thus weakened our ability to interact with our tools at precisely the same time that the grid has become more complex, more complicated, requiring faster responses. That’s a poor recipe for achieving the desired outcomes. While millions were spent on these new tools, the essential human factors were largely overlooked. Current vendors focus too much on optimizing technology interoperability without considering the impact on human operators. This state of affairs must change if we all want the continued benefit of a power grid system capable of the stable and predictable delivery of electricity. The key to addressing the current situation lies in understanding how humans perceive and react to information, and providing operators with information in ways that can be best perceived and acted upon. The control room must be optimized to enable it as an organization where the people and tools work best together, a system in which operators are not only well-trained, but one where the systems they use provide them with the information they need, in an easily digestible manner. That can only happen if we fully understand human psychology, the causes of stress and distraction, the types of distractions that can and should be eliminated, and how to best present useful information from the right set of tools to position operators for success. We will explore these topics, and more, in posts during the months to come. What issues are you grappling with in your control room? Let me know and I’ll try and incorporate answers in upcoming blogs. This will always be done without attributing the question to a specific person or organization. Thank you for submitting a question or a comment. Mike Legatt, PhD, is Founder and CEO of ResilientGrid.